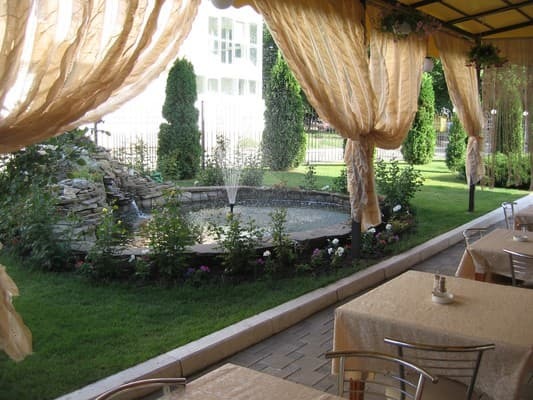 Hotel «SV Park Hotel» is a 20-minute walk from the metro station "Zhukova" in a quiet area, away from the busy main roads of the city. Garden and park area of the hotel, green lawns create a unique natural habitat. 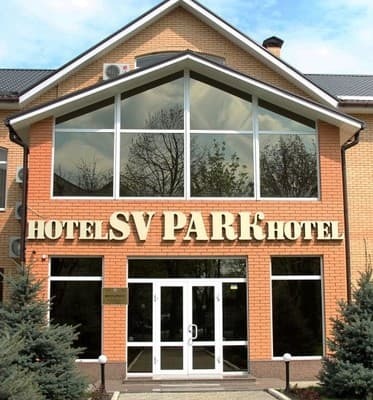 «SV Park Hotel» offers 17 rooms of different categories, which are ideal for guests visiting for business purposes and for tourism. All rooms are equipped with air conditioning, personal safe, mini-bar. 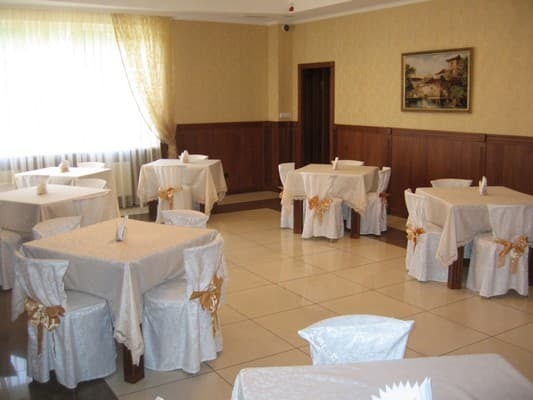 Hotel offers free Wi-Fi, conference room, restaurant with European and Ukrainian cuisine, bar. Stadium "Metalist" can be reached in 7 minutes. Distance from train station is 10 km, to the airport 7 km. 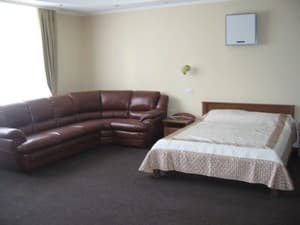 Description of the room: The average room size is 29 m² and is equipped with: separate beds; Flat screen TV; telephone with direct international access. For single occupancy, the room rate is 450 UAH. Description of the room: The average room of 32 m² is equipped with: a large double bed and a sofa; Flat screen TV; telephone with direct international access. 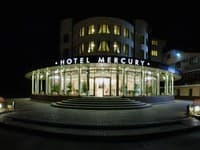 For single occupancy, the price of the room is 650 UAH. Possibility of placing on an additional place. Description of the room: The average room area of ​​40 m² is equipped with: a large double bed and a sofa; Flat screen TV; telephone with direct international access. 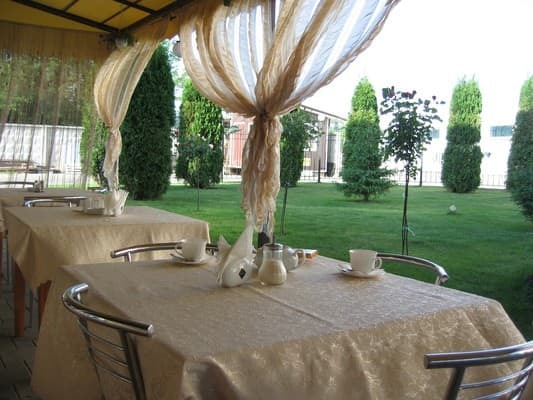 For single occupancy, the room rate is 1000 UAH. Possibility of placing on an additional place. Description of the room: The average 35 m² room is equipped with: a large double bed and a sofa; Flat screen TV; telephone with direct international access. For single occupancy, the room rate is 750 UAH. Possibility of placing on an additional place. 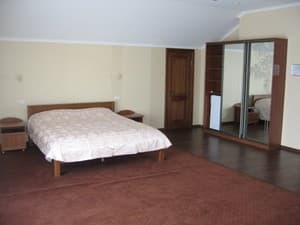 Description of the room: The average room area of ​​40 m² is equipped with: a large double bed and a sofa; Flat screen TV; telephone with direct international access. For single occupancy, the room will cost 850 UAH. Possibility of placing on an additional place. 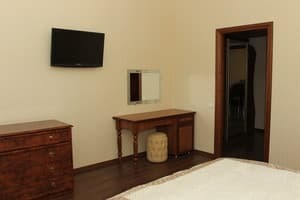 Description of the room: The apartments have an average area of ​​75 m² and are equipped with: a large double bed and a sofa; Flat screen TV; telephone with direct international access. For single occupancy, the room rate is 1200 UAH. Accommodation on additional places is possible. Children from 5 to 12 years sharing a room with parents without extra bed - 80 UAH. Children from 5 to 12 years sharing a room with parents with extra bed - 100 UAH. The hotel can be reached from the bus station and train station "Levada". Please follow the next steps: 1. Metro station "Prospect Gagarina" - metro station "Marshala Zhukova". 2. Go down the Marshala Zhukova avenue. 3. Turn right behind the Palace of Sport and go down the Olimpiyskaya street to the 10 Olimpiyskaya street. The hotel can be reached from the South Station. Please follow the next steps: 1. Metro "Uzhnyi vokzal" (South Station) – metro station "Marshala Zhukova". 2. Go down the Marshala Zhukova avenue. 3. Turn right behind the Palace of Sport and go down the Olimpiyskaya street to the 10 Olimpiyskaya street. The hotel can be reached from the airport. Please follow the next steps: 1. Take the bus№152e to the 48 “50th anniversary of the USSR” avenue. 2. Go down the Olimpiyskaya street to the 10 Olimpiyskaya street.